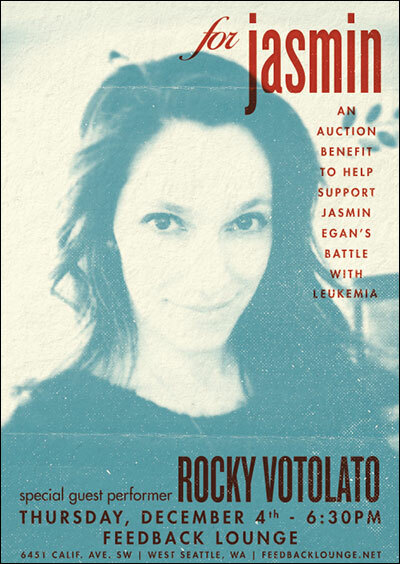 West Seattle’s Jasmin Egan is battling leukemia and an auction benefit has been set up to help her and her family during this challenge. Generously donated auction items include trips to Cabo and Hawaii and even a trip to Los Angeles to go golfing with Keifer Sutherland and more celebrities, as well as a ton of gifts from West Seattle businesses. And as a bonus, Rocky Votolato will be performing a special live acoustic set. For more information, please click here. And we will be posting auction item updates daily on Facebook and Twitter. You are currently browsing the Feedblog blog archives for the day Sunday, November 30th, 2014.
Who the heck are we?